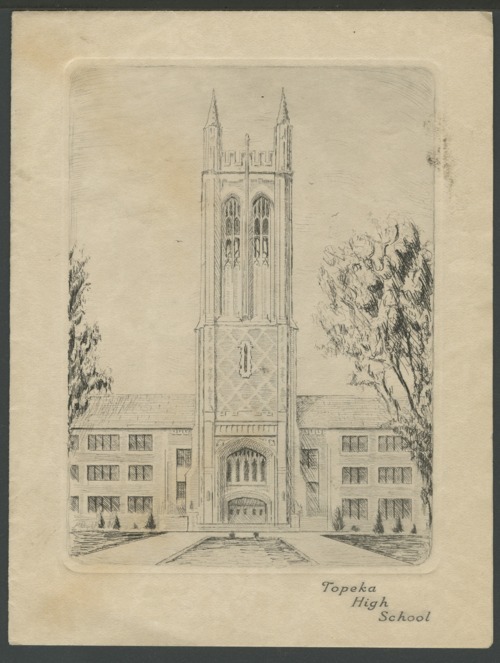 This is a reproduction of a pen and ink drawing showing Topeka High School's tower. The drawing appeared on a commencement announcement. The senior class would graduate May 25, 1934, and the graduation would take place at Moore Bowl, Washburn College, Topeka, Kansas.